37 years of accumulated knowledge and practical applications. Dr. Ventura is one of the most experienced microcurrent experts around. 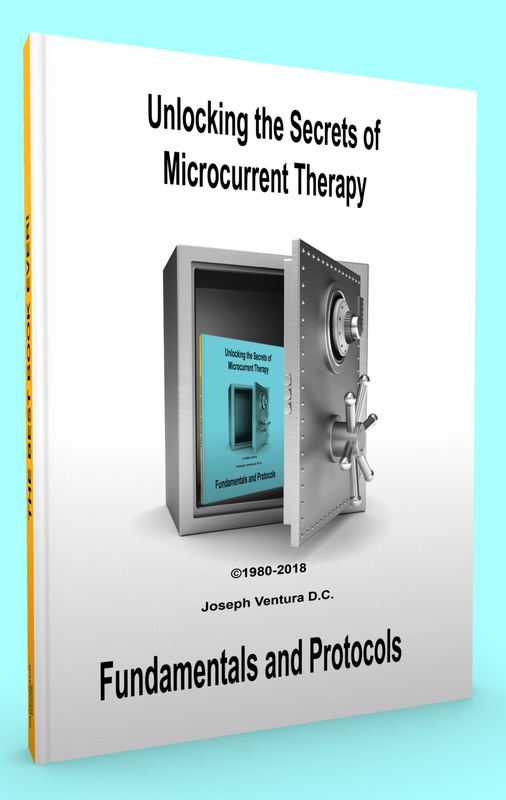 He started using a microcurrent device in his sports injury practice in 1980.Next he designed some of the most advanced microcurrent devices ever, and worked with the FDA to establish the category of micro-TENS. His Axion micro5 unit was the first to gain FDA approval for it's probe searching system in 1989 and was the first 100% digital microcurrent device. His first protocol manual was published in 1991 and his first video series in 1994. "I have a passion for microcurrent that hasn't waned in over 30 years. It just works, naturally." says Ventura. "And, I can pass that knowledge and passion on to you through this training system", he added. As the manual's title suggests, the contents are all about the history of microcurrent research, protocols and techniques. "Some have tried to tie microcurrent results with complicated formulas of settings. That's not the way it was or the way it needs to be." said Ventura. "I will show you a simple method used by the pioneers of microcurrent: Becker, Wing, Cheng, and myself, to treat every musculo-skeletal condition that patients present to your office. In addition to standard everyday protocols, I will teach you methods of smoking cessation, weight loss, facial rejuvenation, stress management and allergy relief that can add fantastic cash revenue streams to your business. Everything you need is in the manual". Click the button below to add the Unlocking the Secrets of Microcurrent Therapy to your wish list.